There's a documentary in the works, still in post-production, called Adult Rappers that will shed light on life as a rapper long after the luster of youth has disappeared and to an extent, life after rap. Atoms Family, a collective that existed in New York City during the heydey of underground hip hop in the late 90s and early Aughts, will be featured within the documentary partially because they illustrate what happens when the floor falls out, and largely because the documentarian Paul “paWL” Iannacchino was a member of the crew as the DJ for Definitive Jux's Hanger 18. The Atoms Family was a faction that existed on the peripheral of the larger entity of Definitive Jux. The artists within the collective varied from being signed to the label to regularly appearing on albums by artists like El-P, Aesop Rock, and Cannibal Ox. While the dissolution of Definitive Jux came in 2010, prior to that much of the Atoms Family had fractured into side projects or faded into the 9-to-5er world. Of the few that soldiered on, there exists albums that trickle onto the Internet via Bandcamp pages that maintain the signature, proto-underground sound that Atoms Family cultivated. Alaska of Hanger 18 formed The Crack Epidemic with producer Kojo for two brief, but luminary records. Cryptic One has become a reclusive sensai of cerebral rap with his most recent output being 2013's FSYM. 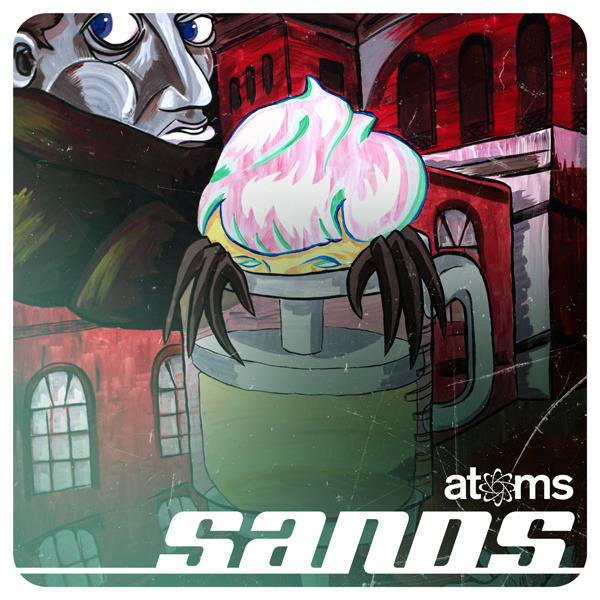 ATOMS' Sands LP is available now on Cryptic One's Bandcamp.